Becoming a real estate investor is easy — if you believe HGTV. All you need to do is find a property with a little disrepair, add some elbow grease, and you’ll be rich from the extra income. Unfortunately for us, cable television isn’t always accurate. Many of the U.S.’s hottest housing markets have fully recovered from the housing market crash a decade ago, with prices reaching or surpassing 2007 levels. In Orange County, for example, homes sold for a median of $590,000 this summer; in Denver County, which surrounds Denver, Colo., the median price approached $320,000. Rising prices can make real estate a winning investment. But with so much money on the line, it’s important to avoid mistakes and do your research. Many purchasers of investment property can afford to pay cash, eliminating the need for a mortgage. But if you’re new to investing, you may not have hundreds of thousands of dollars on hand. If you need financing to complete your transaction, be careful to find a lender and a loan that works for you. Many mortgages written in the mid-2000s were issued to people who thought they were making good investments but didn’t really have the means to pay them back. When the bubble burst, of course, millions of Americans lost homes. Since then, mortgage regulations have gotten stricter — although some rules may be lifted under the current Republican-controlled Congress, some of whose leaders have expressed a desire to deregulate home loans. For now, though, it’s not nearly as easy to qualify for a mortgage as it was 15 years ago. Borrowers must have good credit and often a down payment of 20 percent. Federally backed loans for first-time buyers and veterans offer smaller down payments or no down payments at all, but investors usually can’t qualify for these loans — they’re usually designed for primary residences. Talk to a variety of lenders to make sure your financing works with your budget and investment plan. Study markets to find out where you can still be a competitive buyer if you can’t pay cash. If you take out a mortgage, make sure the interest rate and payments are reasonable enough that you can keep up with payments even if the rental remains empty or the flip sits on the market for a few extra months. Real estate agents will tell every buy that all real estate is local — state- and even city-level statistics paint broad pictures, but cities are composed of hundreds of micro-markets that vary from one street to the next. Part of choosing the right home and the right financing is doing your homework on the neighborhood you’re entering. Before you purchase an investment property, understand how hot the local sales market is, what local rental rates are, how many residents rent or own, and what the culture of the neighborhood is like. Once you’ve identified an investment-worthy neighborhood, and acquired the property, renovations begin. Remodeling, of course, costs money — often more than flippers have budgeted for. On top of construction costs, there are permit fees, inspections and ensuring compliance with tenant laws. If you choose to work with a real estate agent and stage the house for sale, or if you decide to work with a property manager to find tenants, those professionals charge fees as well. 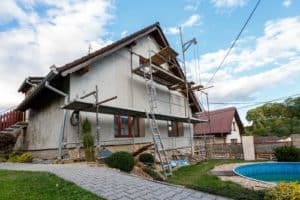 Whether you’re undertaking this investment as a DIY project or paying professionals, make a careful, conservative budget with plenty of room for unforeseen expenses. In this world, failing to do your homework doesn’t just mean you fail a test — it could force you to take on additional debt or create cash flow problems that will follow you much longer than you want. It’s true that some investors can undertake some of the process themselves. But everyone is bound to have an area that requires expert assistance. When you’re looking for good investments, you’ll likely need to work with a real estate agent, an appraiser, and a home inspector. You may also consider asking an attorney to look over some of your work. Once you’ve found a property, you may know how to re-tile a kitchen and install light fixtures, but are you up to date with electrical codes? Do you know how to make sure the roof and foundation are safe? If the property isn’t approved by a home inspector at the end of the renovation process, it could set you back weeks and thousands of dollars. When it’s time to sell or rent, you may be turned off by the idea of paying commission to a real estate agent — but what if they can sell your property three months faster? And you may think you can write a lease and manage tenants — but how familiar are you with tenant law and maintenance and repair compliance? Feel free to take on the parts of the project you know you’re good at, but don’t be afraid to hire experts in areas in which you have less knowledge — plumbing, roofing, HVAC, landscaping, property management, whatever that may be. Doing things right the first time will almost always save you money.